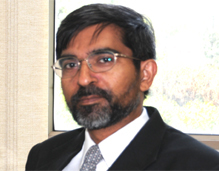 Udai Bhanu Singh is Senior Research Associate and Coordinator of the Southeast Asia and Oceania Centre at IDSA. Along with former IDSA Deputy Director General Rumel Dahiya, he is the author of Delhi Dialogue VII: ASEAN-India: Shaping the Post-2015 Agenda (Pentagon Press, New Delhi, 2016), released in Kuala Lumpur in August 2016. He is also co-author of Delhi Dialogue VI: Realising the ASEAN-India Vision for Partnership and Prosperity. He has also authored ASEAN Regional Forum and Security of the Asia-Pacific. Dr. Singh has published articles, book chapters and opinion pieces on Myanmar’s politics, Myanmar’s foreign relations, challenges to border management in Myanmar-India relations, role of the military in Southeast Asia, India-Vietnam Strategic Relationship, India’s Look East/Act East Policy, and India’s Strategic Engagement with Southeast Asia at the multilateral level (ADMM-Plus, EAS, ARF etc. ), and India’s Asia-Pacific policy. His article, “The Significance of the ADMM-Plus: A Perspective from India,” was published in Asia Policy in July 2016. Dr Singh taught a part-time course in Diplomacy at the Indian Society of International Law, New Delhi from 1995 to 1998. He is a Member of the Under-Graduate Board of Studies in Defence and Security Studies at Kurukshetra University. He has evaluated theses/dissertations for Jawaharlal Nehru University, and carried out evaluations for Jamia Millia Islamia and other universities. From 1994 to 1998, he was responsible for bringing out IDSA's Southeast Asia news review. The news review was re-launched as Insight Southeast Asia (online) under him in March 2012. He also assisted (in his initial years at IDSA) in bringing out the flagship journal Strategic Analysis. He was made the Coordinator of the Southeast Asia and Oceania Centre to focus on the emerging Indo-Pacific region. The Centre has attracted Visiting Fellows from ASEAN countries like Thailand and Singapore besides a Southeast Asia expert from India’s North-East. Dr. Singh was also the points person for organizing the MEA sponsored (India-ASEAN) international conference Delhi Dialogue VI (2014), Delhi Dialogue VII (2015) and Delhi Dialogue VIII (2016), in close collaboration with other Southeast Asian and Indian partner institutions. Dr. Singh earned his PhD from the School of International Studies, Jawaharlal Nehru University in international relations (1994), and his BA Honours and Masters in History from St. Stephen’s College, University of Delhi (1985). He completed a Certificate of Proficiency course in Bahasa Indonesia from JNU in 2003 and a conflict resolution course at the University of Oslo, Norway in 2010. He has participated in Track-2 and 1.5 dialogues with Myanmar, New Zealand and Australia. He contributes to the media and has delivered lectures at academic and defence institutions in India such as National Defence College, Foreign Service Institute, Naval War College, as well as in foreign countries.